Cue horrendous meltdown. My daughter began crying, because she didn’t want to read. She said that the chapter books she has to read are boring. She also said that she wished she never reminded me about the reading homework and that she was mad at herself for reminding me. I told her that I was actually really proud of her for reminding me and that I would even reward her with extra screen time later because of it. I also told her that even if she didn’t remind me, I would have remembered eventually and so she still would have had to read. This didn’t make anything better. She continued to cry, scream, and throw herself onto the floor. She worked herself up so much, she even got a bloody nose. I tried to remain as calm and collected as I could, to be the calm in my daughter’s storm. I told her that I would talk to her about it once she calmed down and then I proceeded to help my younger daughter with her homework. We have an entire calm down area in our home just for the kids, It’s filled with fidgets, calm down jars, squishes, musical instruments, and interactive books. At this point in my daughter’s meltdown however, she was at the peak of her emotional rollercoaster and there was nothing in that calm down area that could have helped her. I told my daughter that I wanted her to take a break and to go play on her iPad to calm down and then she could do her reading after her break, but she refused. She was an emotional mess. Calmly, but firmly, I told her that I am her mother and she needs to listen to me. I told her again to go play on her iPad for 15 minutes and that I would come get her afterwards and we would take turns reading the pages of any book she liked. I felt like I was being more than fair, yet she still wasn’t happy about my plan. However, she did what I said anyway. During those 15 minutes, I thought a lot about what happened and how I handled the situation. I doubted my parenting and discipline. Had I made the wrong decision? Did she use me to get her way? I thought about it some more and knowing what I know about my child, I made up my mind. I most definitely made the right decision. I know that to outsiders, it would have looked like my big kid threw a temper tantrum all because she didn’t want to read. I know that it looked like I gave in and gave my child exactly what she wanted – to go on her iPad. I know that it looks like my child is a spoiled brat and that I am not disciplining her. I know all of that. But it’s not true. 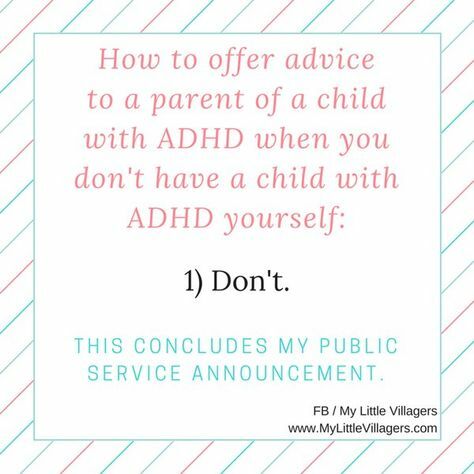 If you knew what was really going on, you would have known that my daughter has ADHD (Attention Deficit Hyperactivity Disorder) and struggles greatly with emotional regulation. Most children with ADHD feel emotions much more intensely than neurotypical children. My daughter sees a behavioral therapist regularly and practices controlling her emotions with biofeedback games like Mightier – but she is only nine years old and still has her moments. If you knew what was really going on, you would have known that earlier that day, my daughter took a difficult science test and had a fight with her sister, so you would have known that the full-blown meltdown she had about reading wasn’t just about reading. When the 15 minute timer went off, I walked into her room and found her quietly playing Minecraft on her iPad – in an entirely different demeanor than from the last time I saw her. She wasn’t crying or screaming anymore. She was calm and relaxed, and that was the goal. I gently told her that the timer went off and it was time to read. I asked her to pick out a book, and she did. I asked her to begin reading with me, and she did. After 30 minutes, she completed her reading homework, without tears and without complaining. Again, that was the goal. What should have only taken my daughter 30 minutes ended up taking her over an hour, but I am proud of her for getting through her meltdown and then through her reading homework without tears. I’m not thrilled that the iPad is what helped her calm down, but when it comes to parenting and disciplining kids with ADHD, you simply have to do what works best for your child (and family). Yes, she got to have 15 minutes of screen time before she completed her homework, but what that 15 minutes was actually doing was teaching her that she needs to take a break when her powerful emotions become so heightened that she can’t get anything productive done. She is learning to remove herself from stressful situations to take a breath and then once she is calm and her head is clear, to return to the situation and tackle it. Parenting and disciplining a child with ADHD is very tricky, challenging, and downright messy. 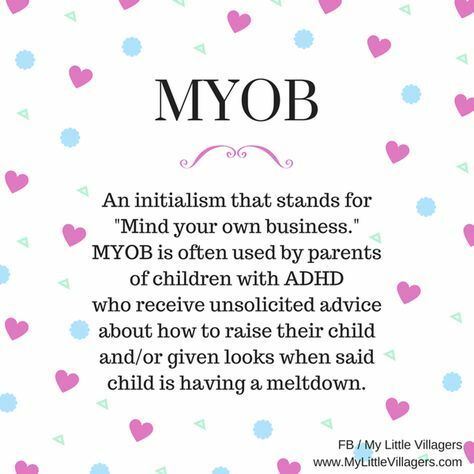 There are many times when I do things with my child that are nonconventional and I know are frowned upon by others, but they aren’t my family and it is really none of their business anyway. We all need to do what works best for our own children, even if it looks like lazy parenting to others. 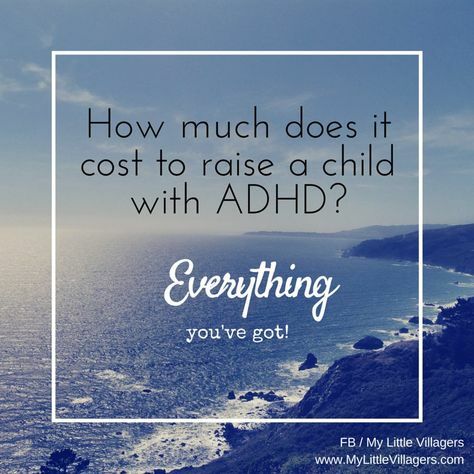 What parents of neurotypical children will never know is how much work, effort, time, patience, and love we pour into parenting our children with ADHD, and that’s fine. All that really matters is our children and even though you may not think so, you are doing an absolutely amazing job with them.